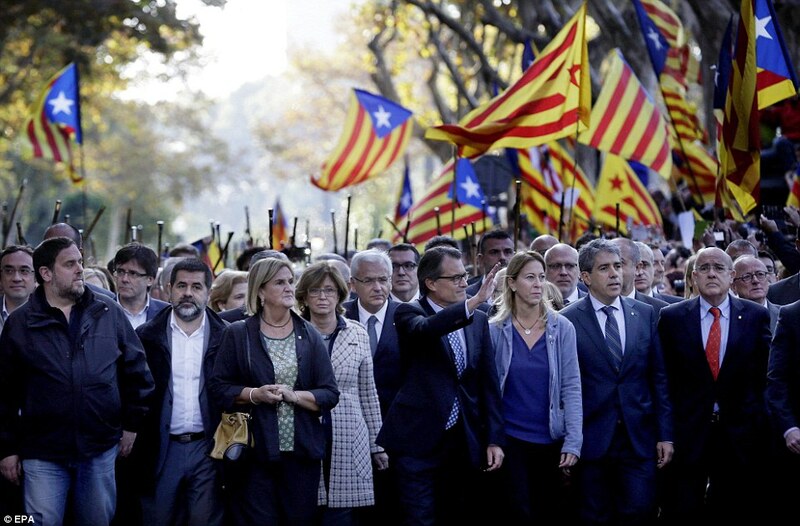 Thousands of people took to the streets to support the Catalan regional president as he was summoned to appear before Spanish judges to face civil disobedience charges over his decision to call an independence referendum. Artur Mas appeared in court today to contest court charges against him for staging a ballot on independence from Spain, in the latest skirmish of his secessionist battle with Madrid. The Catalan independence movement has raised political tensions in Spain as it recovers from several years of recession and prepares for a general election on December 20. 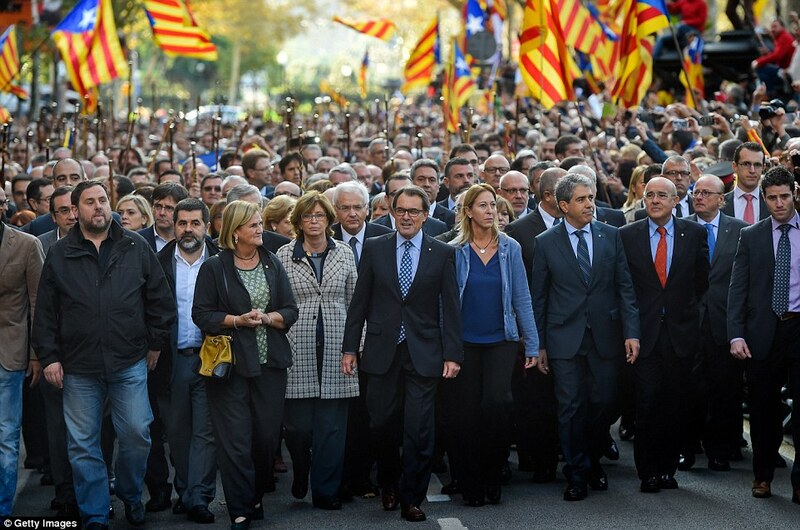 Thousands of cheering supporters rallied outside the courthouse in Barcelona as Mas went before a judge for questioning over charges of civil disobedience and misuse of public funds in organising the vote on November 9, 2014. Defending the unity of Spain, the central government says holding an independence vote is against the constitution since all Spaniards have the right to decide on matters of sovereignty. Mas’s allies have branded the case politically motivated and accuse Spanish authorities of going after him to disrupt his drive for the rich northeastern region to secede. 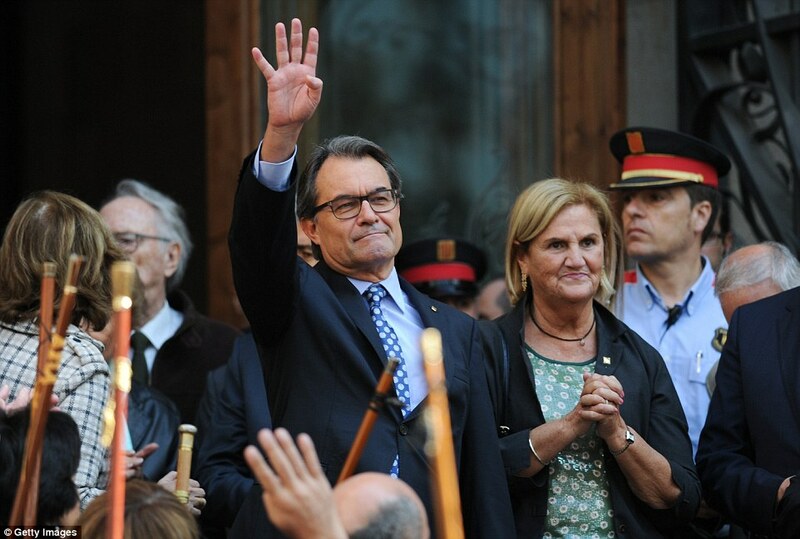 Catalonia leader Artur Mas summoned to answer charges of civil disobedience | Daily Mail Online.